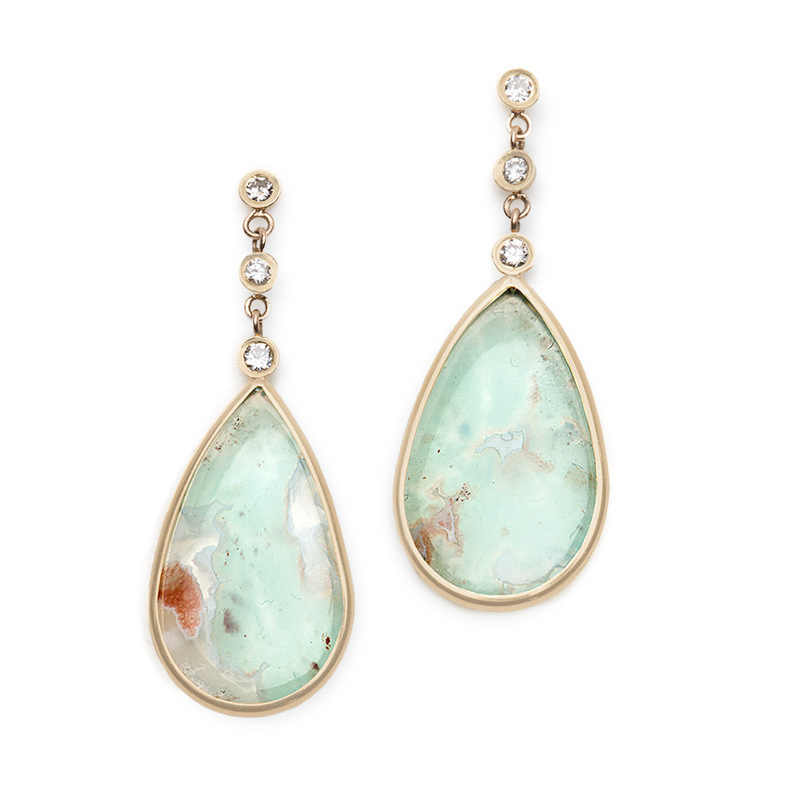 One of a kind Aquaprase gemstones gracefully drop from brilliant round Diamonds wrapped in 18k yellow gold. Post back. For pierced ears. Because the gemstones used are one of a kind, natural variances may occur adding to their uniqueness and beauty. Tags: aquaprase, diamond, #diamondearrings, #diamonds.